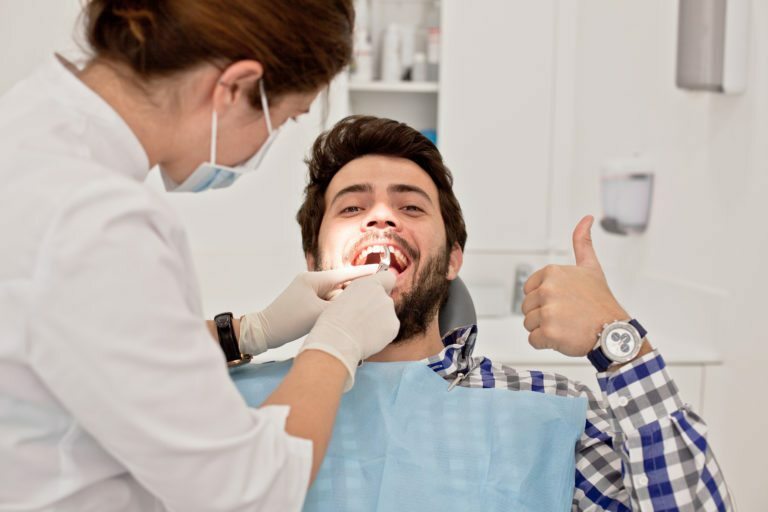 Those of us who have spent our lives following a rigorous routine of good dental hygiene can sometimes become complacent about our visits to the dentists. After all, if our teeth are looking fantastic and there’s no discomfort or pain, why do we need to see the dentist? What you may not know is that dental visits do so much more than protect your teeth from decay. While it’s incredibly important for those with good dental hygiene to have regular dental visits, the rest of us need those visits even more. This one goes for everyone, power brusher and Sunday brushers alike. Oral cancer is a deadly condition that can appear in ways undetectable by the naked eye. Since oral cancer tends to start asymptomatic, meaning with no visible or experiential symptoms, and grows quickly after onset it’s important to see your dentist at least twice a year. Once detected oral cancer can be treated relatively easily, and your dentist is trained in identifying the signs quickly. And here we have the old enemy, the bogeyman of our childhood dental visits and the tempo of our parent’s admonishments to brush our teeth every morning and night. Plaque is a sticky substance that forms on our teeth due to the bacteria that live in our mouths. Packed with acid plaque tends to eat away at the enamel on our teeth, leading to tooth decay. Left unchecked plaque will harden into tartar, which can only be removed safely in the dentist’s office. Regular visits to your dentist will keep plaque and tartar in check, and help prevent cavities. While plaque and tartar and dangerous for your teeth, they also wage war against your gums. Tartar can build up along and under the gums creating an infection that makes the gum pull away from the teeth, allowing the disease to progress further and attacking the roots of the teeth. Once it officially becomes gum disease you’ll see swelling, soreness, and bleeding in your oral cavity. Teeth will begin to loosen as the bone supporting your teeth gets attacked by bacteria, and turning back this tide will require the attention of your dentist. Don’t lose your beautiful smile to gingivitis and periodontitis, see your dentist regularly. Even the most conscientious individual can miss the places that plaque and tartar like to hide, and its almost impossible to know there’s a problem in places you can’t see until it’s too late. The x-rays performed by your dentist will help see the problems that lie beneath, allowing them to treat them before they become a serious and ongoing problem. These are just a few of the reasons that we all need to see our dentist on a regular basis. Regular dental check-ups ensure the health of not just our teeth and gums, but our whole bodies. In the instance of oral cancer, a visit to your dentist can, in fact, be life-saving. Call in today to schedule an appointment, it could just save your life.